There are many ways in which lottery winners choose to spend their newfound wealth, and many activities that the lucky ones focus on after scooping the jackpot. The rule of thumb states that winners quit their jobs immediately or soon after they collect the prize, but this obviously doesn’t apply to James Lovell. The player from Maine just won two million dollars in Powerball and instead of contemplating retirement, he looks forward to land a new job. 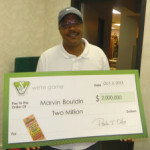 The 59-year-old player was unemployed at the time he won the 2 million, and now he can afford to purchase a brand-new truck something that he already did. James has no intention of retiring right now, and looks determined to seize the opportunity and revive his career. It will all begin with a blue V8 diesel truck that would also feature a plow, and Mr. Lovell will still have plenty of cash in his bank account to expand his venture if he chooses to. While he declined further interviews, his initial statement cited by Maine State lottery suggests that the truck driver is thrilled with the idea of getting back on the road soon. 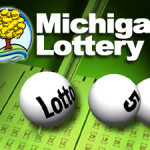 He has three children and two granddaughters, which explains why a significant amount of the recently collected lottery jackpot will be spent towards establishing trust funds. 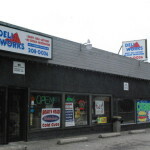 The owner of the lottery store where James purchase the ticket confirmed the fact that he was one of the regulars who stopped there regularly to buy lottery tickets. A creature of habit, Mr. Lovell used to return the next day to compare his numbers against the ones that were drawn as winners, but until recently he did not win anything. The first person to share the great news with was his wife, whom he was on his way to pick up from her job. Maine state lottery uses to reward the ones who sell jackpot winning lottery tickets, and Tom Ward is the lucky vendor who will bask in the winner’s glory. 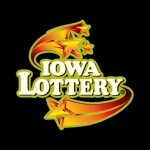 Initially he assumed that the call he received from lottery officials was about they $30,000 scratch ticket that he sold a week ago. The higher the amount won by the player, the more significant the commission that the lottery vendor receives, which explains why Mr. Ward has been just as thrilled as the winner. 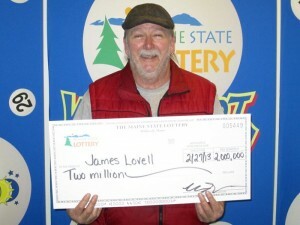 The fact that James Lovell was not cheap and chose to pay the additional dollar and took advantage of the Power Play option meant that he collected an additional million, as his prize was doubled. After learning the good news from the lottery clerk and making a brief statement to Main State Lottery officials, the winner went into seclusion and refuse to further discuss the fortunate event with the press. 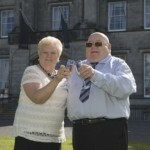 Check out Melvyn Wilson is officially a four time lottery winner as well.